Last week, the UC Davis Law Review held the celebration known as the Hopkins Reception at the Walter A. Buehler Alumni Center. It always is an uplifting event, with the graduating third-year students being honored and the new editorial board introduced. Thomas Steele ‘76, editor in chief of volume 9, offered remarks. Law Review faculty advisor Professor Shayak Sarkar presented the Patrick J. Hopkins Memorial Writing Award to Kendra Clark ’19 and Shaun Wong ’19. 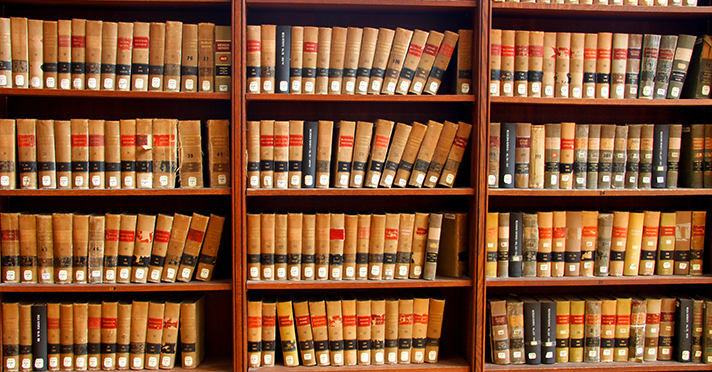 The Law Review is a bedrock institution of UC Davis School of Law. 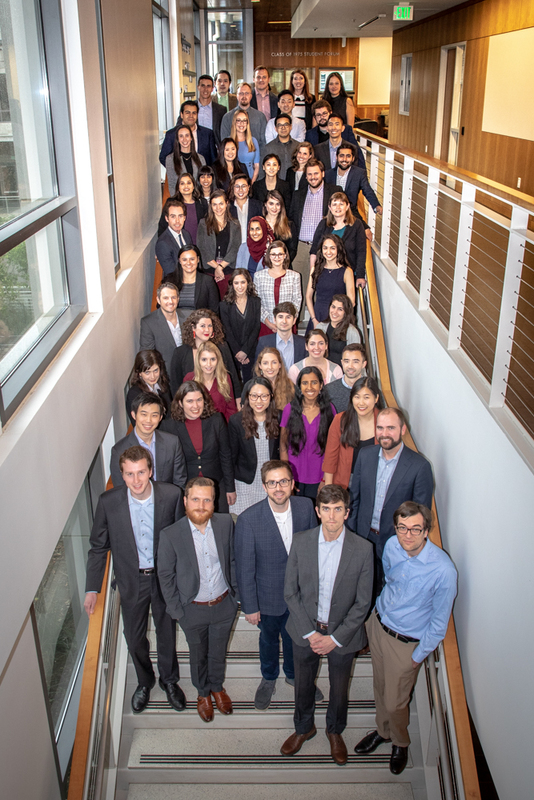 The students involved with this leading national law journal, including Editor in Chief Eva Loney ’19, should be proud. And the new e-i-c, Jessica Gillotte ‘20, is raring to take the Law Review to new heights!! 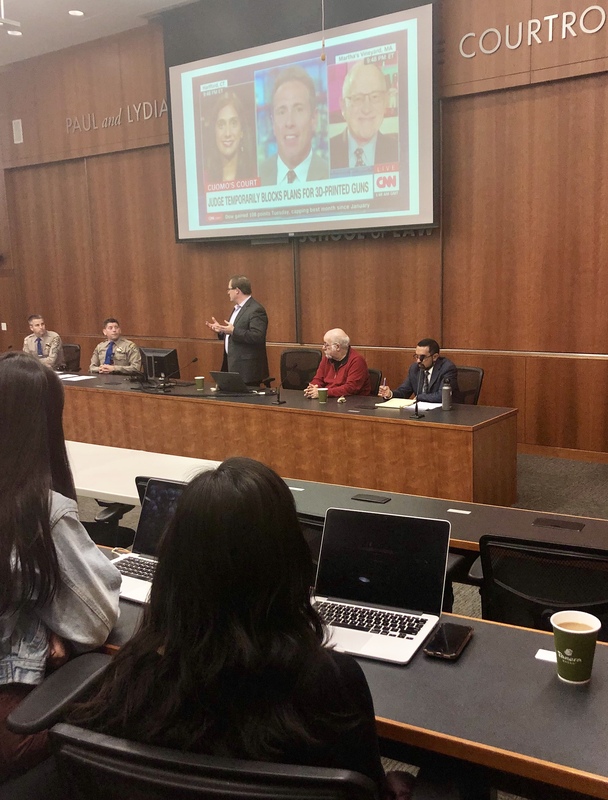 Last week, I had the opportunity to talk about recent developments in immigration under the Trump administration before the Yolo County Bar Association. Among others in attendance at the Yolo County Law Library was Tom Stallard `75, a dedicated King Hall alum, former Mayor of Woodland, and current member of the City Council. I was able to discuss the role of the courts in policing immigration law and policy. The U.S. Supreme Court, for example, has been willing to review the administration's policies and ensure compliance with the Constitution and the immigration statute. Next month, Professor Emeritus Alan Brownstein will be discussing First Amendment issues with the Yolo County Bar Association. UC Davis School of Law is committed to supporting our local lawyers and judges. Last week, the UC Davis School of Law hosted the Chancellor’s Forum on 3D Guns. The topic was the use of the manufacture of guns through 3D printing, the free speech and Second Amendment issues raised by the new technology, and the public safety concerns. The panelists first lay out the technology for making guns through 3D printing and the public safety issues implicated. The last topic of discussion involved the legal issues.